All of my life I have been fascinated by the plants given to us on this earth. When I was an undergrad student at Cal Poly Pomona in California, I was an Agricultural Biology Major because I knew someday I wanted to farm and grow ‘unique’ plants or crops. I was pulled away from that because of my love of animals and I turned to Genetics/Animal Husbandry. But I still thought I would some day grow crops. My favorite plant of choice was the ‘cotton’ plant. What a neat plant. It grows rapidly, and in a few short months, we are able to harvest those cotton bowls and the rest is history. That fiber is processed, dyed, and then becomes material that is transformed into so many things we wear and use everyday – like our favorite jeans! It may have been in my family genes to some extent as my grandparents used to work the California Valley driving the planting and picking crews for the first cotton crops ever planted in the state. Then, when a very clever geneticist found a way to grow colored cotton, I was beyond amazed. Plant science is a fascinating field. Which brings me to the ‘tea’ plant: Camellia sinensis var. sinensis. This plant is really quite a simple plant. If you stumbled onto it, you would most likely not pick it out as beautiful, or particularly colorful, or even attractive in any way. In many settings, it would be a large, bulky tree and not a shrub at all like you see in many tea plantations. The Tea Bush is just a simple ‘evergreen’ shrub that grows in many climates, at different altitudes, and in many climates from hot and steamy to the highest mountains in the Himalayas u p to 5000′. It grows on flat, valley terrains and on the sides of mountains. This amazing evergreen, although all of the same species, will adapt its chemistry to the climate where it lives. What this means is that white tea, green tea, oolong, and black tea all come from the same plant but not all green teas or black teas have the same flavor or taste. 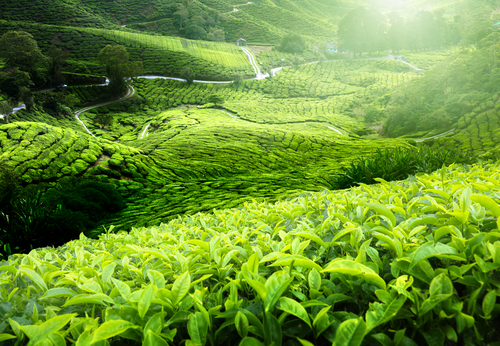 The tea-plant is highly sensitive to the insults of the ground it is grown in and the weather surrounding it’s home. Only the end two leaves and bud are picked and processed to become the teas you see in stores and specialty shops. The regions with warmer more temperate climates will see several harvests in any given year and the colder, higher regions will see only a few plucking’s each year. The chemistry of the soil, the rain and cold, soil run off, and any fertilizer additives used all influence the flavor the plant leaves will produce in a tea brew. That, to me, is one of the most amazing abilities of this wonderful, little, beverage generator. I have compared the tea industry to the wine industry because there are so many similarities. A grape is a grape, is a grape…. or is it? Not to the wine maker who understands and appreciates how all of the influences Mother Nature can have on the final product. They also appreciate the blending process and aging process. The production of Tea has become a true art just as the production of a fine wine. Although I am still developing my ‘Tea’ palette, I do believe I have entered the phase of considering myself somewhat of a tea snob – but I don’t mean that in a bad way. It just means I am learning to detect the differences in regions and altitudes. I have had good teas and I have had ok teas, and I have had bad teas. Just like with wine, everyone’s palate is different and you cannot manufacture a GOOD tea for the masses. Each year the crops vary with subtle differences and because of this, each harvest is a one time offering. 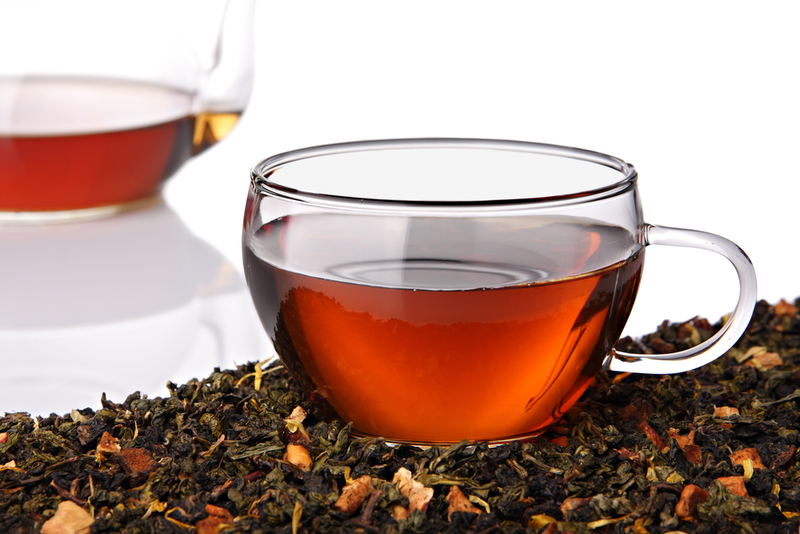 Loose leaf teas command a higher price because they deserve it due to the limited quantities of each harvest. So, if you find a particular type of tea you enjoy, I would recommend stocking up because next year there will be slight differences. 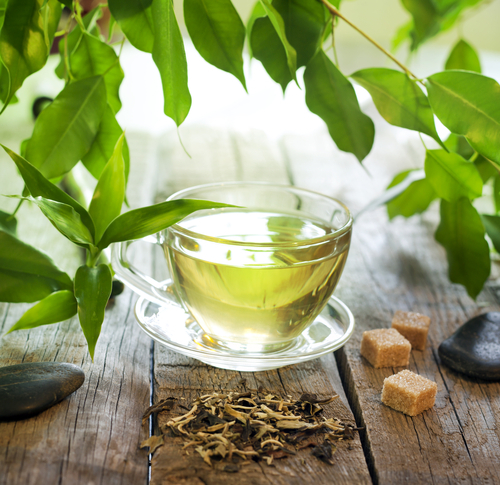 Some of you may be saying under your breath – What about the Camellia sinensis var. assamica, fermentation, oxidation, and the processing used for by the tea producers? Don’t these also influence the tea? All very good points as these also affect the flavor and taste of the tea brew. I will be addressing these other things in future blogs as each has very important influences on the final product. Until then: ‘Find Your Zen and Do The Brew’ Everyone tip those tea cups! Previous PostWeb Site Launch Dates – How much stress can one body endure? Absolutely. I will be adding a variety of teas once the web site is up. Thanks.